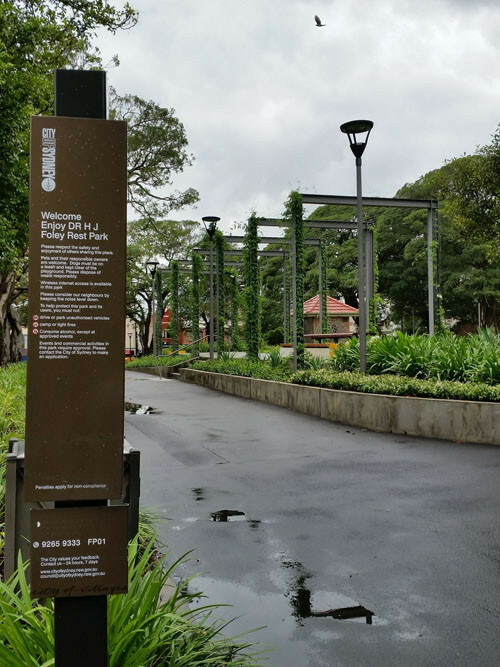 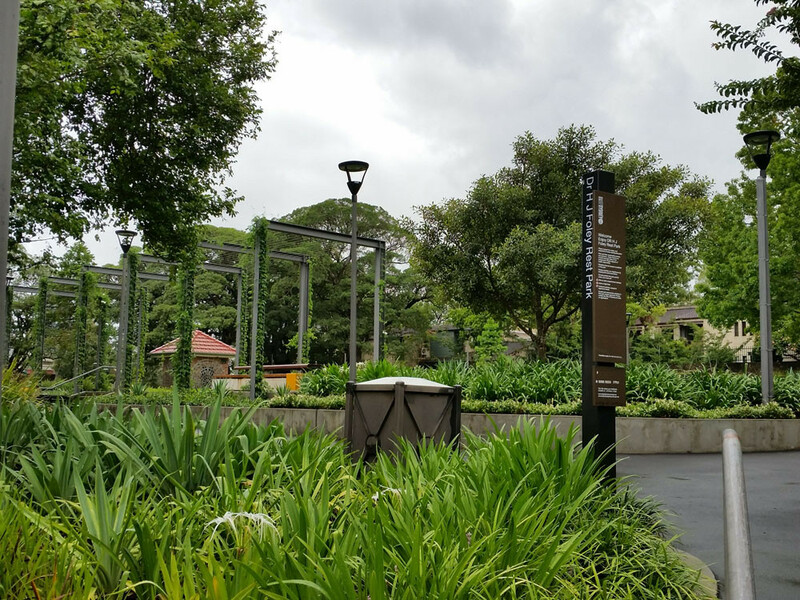 Located in the inner Sydney suburb of Glebe, Foley Park has become the perfect refuge from the busy city. 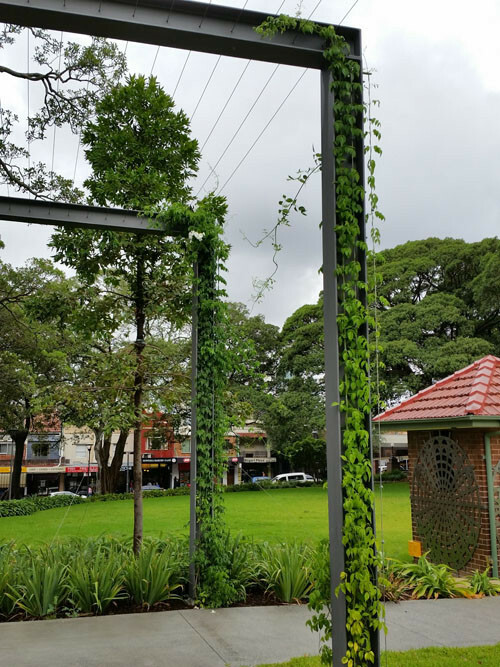 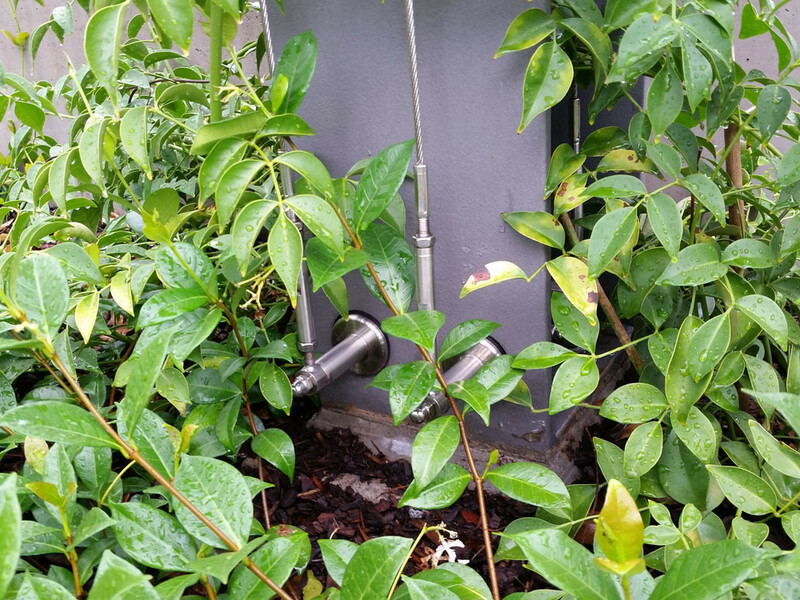 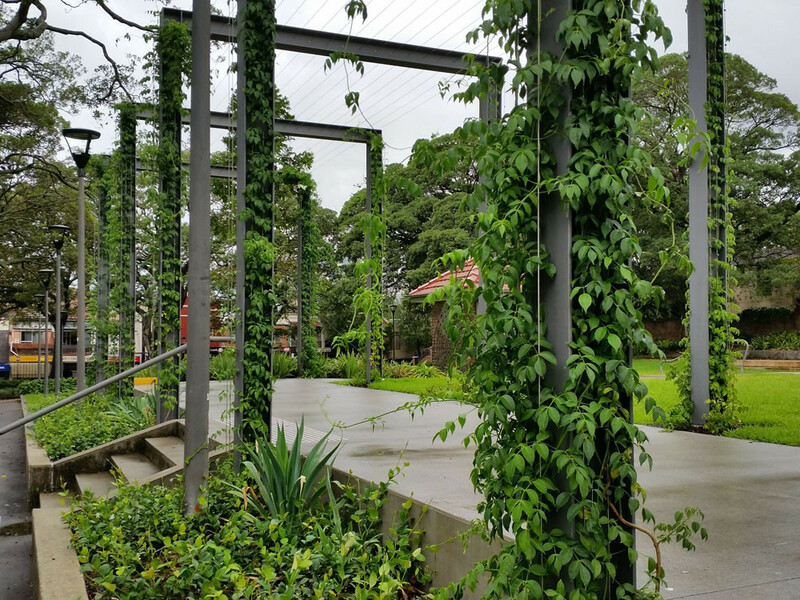 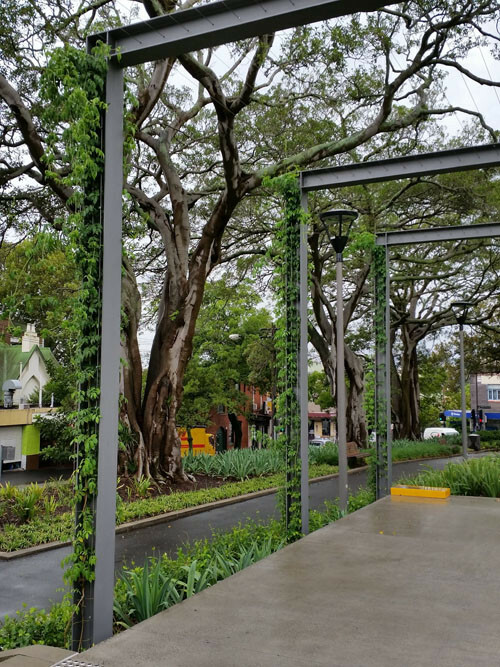 Having undergone a rejuvenation in 2014 Tensile was engaged to provide the new arbor structure to increase the area of vegetation beyond the ground. 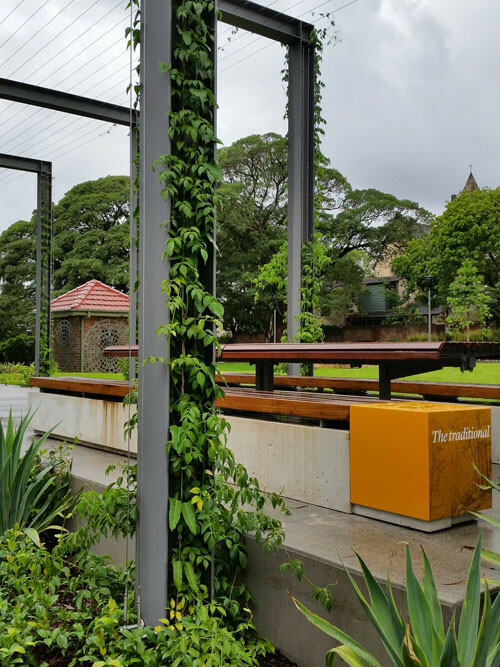 The steel structure fabricated and installed by Tensile supports over 400m of stainless steel cable trellis, providing new seating and a focal point for new activity within the open space. 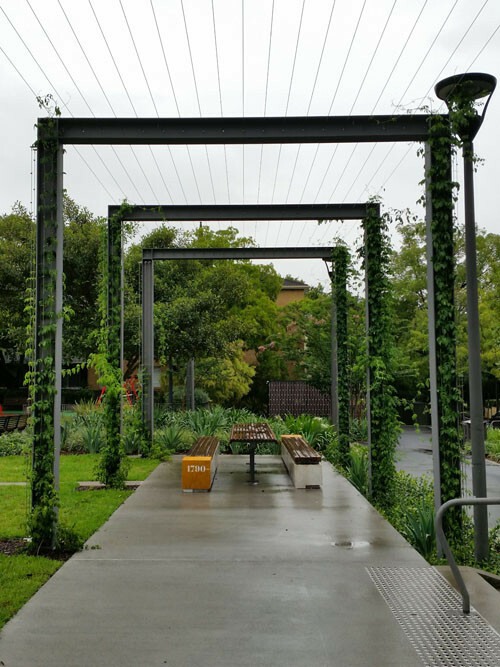 The new arbor sits quietly within the existing park and allows the natural elements to dominate, as they should. 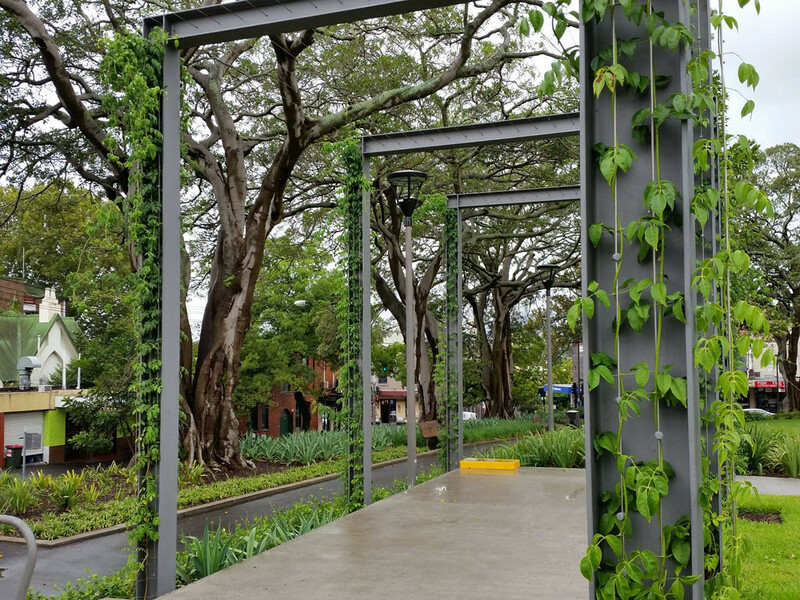 Tensile used elements from the industry leading Jakob Green Solutions range to complete the works to a high standard of finish. 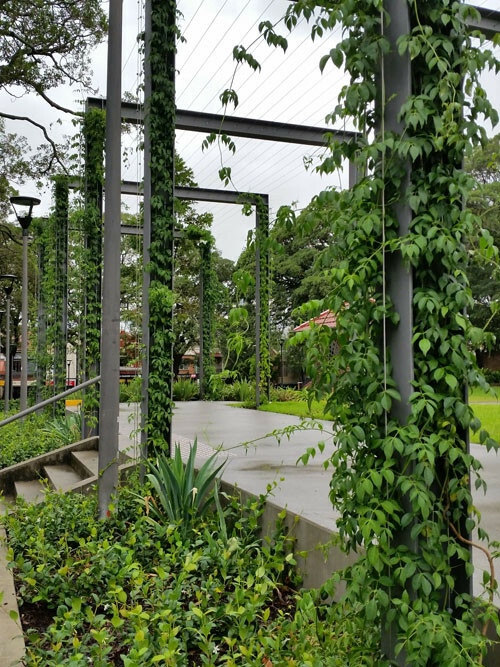 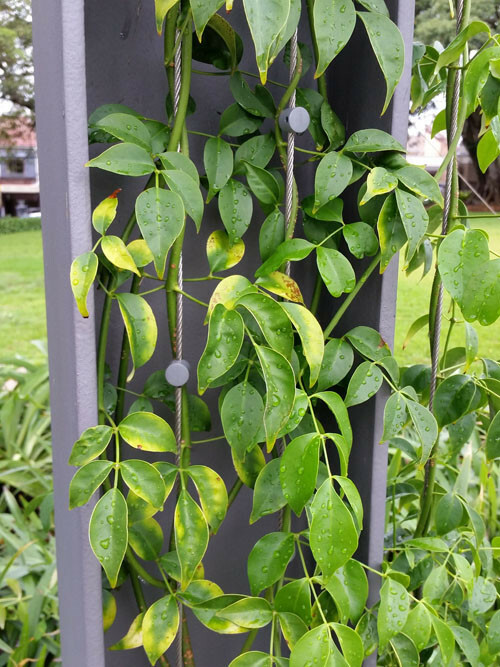 Simplicity and integration is the key with any cable trellis, the goal is to support the planting and not to dominate it. 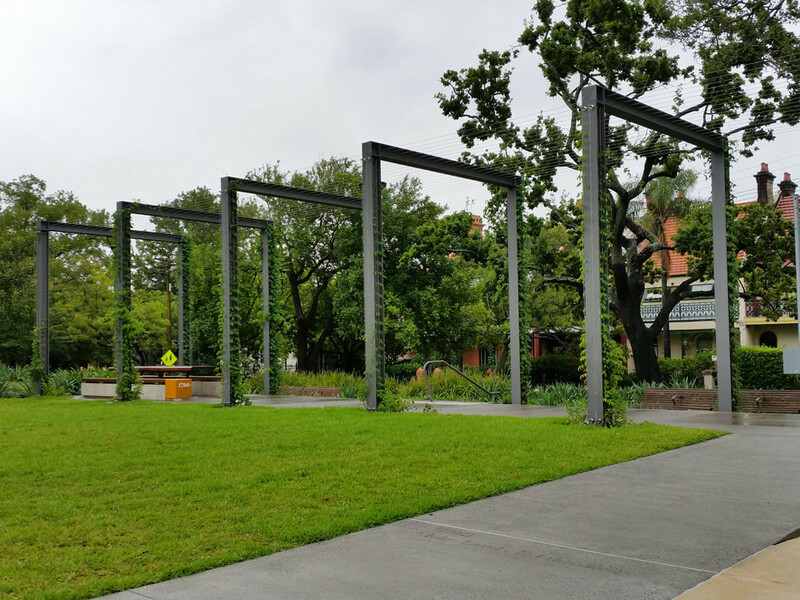 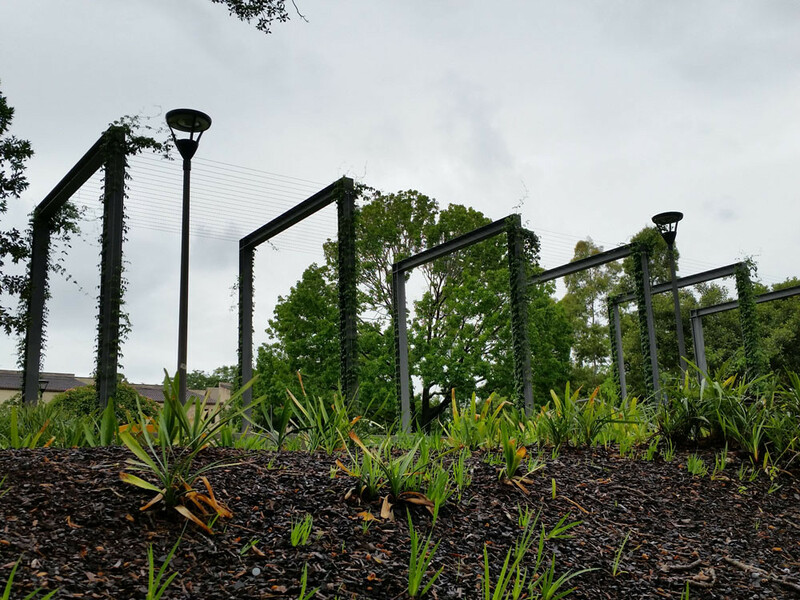 This has certainly been achieved at Foley Rest Park and Tensile looks forward to watching the arbor mature in the coming seasons.